Since I found out the overall goodness of tomato, there’s not a single day I won’t eat some. I make sure to have sliced tomatoes added to my dish. It’s been really a tradition for me to prepare food with tomatoes as one of the ingredients. They are easy to prepare because there is no need to cook them. Just pick ripe ones, slice them and add into the dish by adding just some vegetables to create a healthy meal. I’m happy to share to you some of my favorite personal dishes. The best way to feature tomatoes as the main ingredient is to create salad. Here are five different recipes of tomatoes salad that you can easily make in less than 5 minutes! 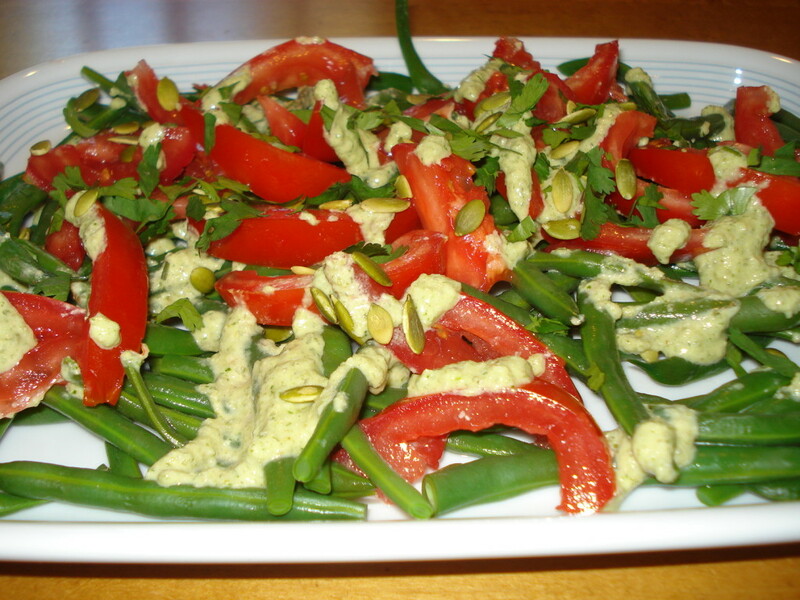 Fresh green beans are an ideal vegetable to add to a tomato salad. Slice them into half an inch and toss in a bowl. Complete this dish by adding sliced onion, shredded mozzarella cheese, and red tomatoes cut in halves crosswise. You may even add a pinch of salt if you do not want to add cheese. 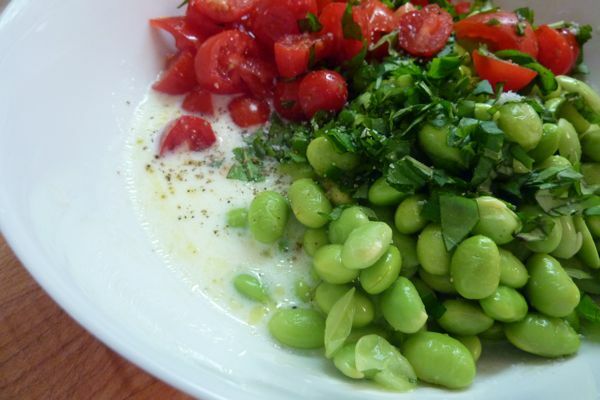 A salad that mainly features tomatoes, bocconcini and basil is a famous, classic type of salad that you can make. It is also a very easy dish that you can serve to your family and guests. 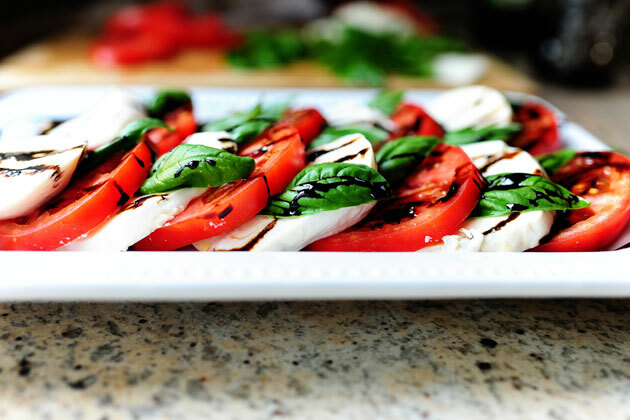 The combination of cute mozzarella balls and fresh red heirloom tomatoes will surely make your drool! It is much better to match the size of the bocconcini with the tomatoes. Basil leaves should be limited too, as they only give additional attraction to the dish. 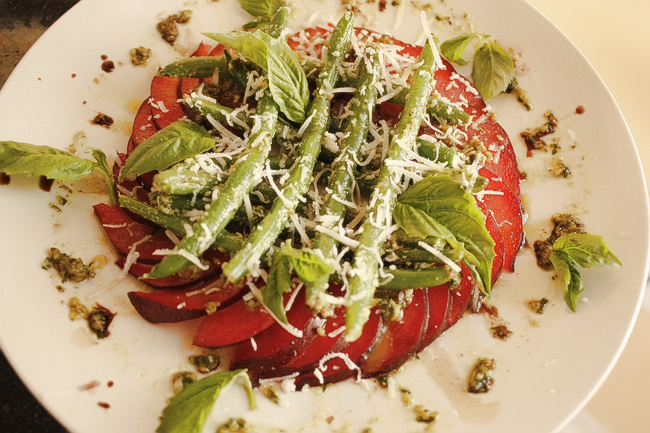 If the classic caprese salad is getting boring for you, try pecorino instead. This is another type of cheese but it’s nutty and hard. It provides a different taste when mixed with tomatoes. It’ is better to shred pecorino for a beautiful result. This kind of salad is also a good meal to make, especially if you have special occasions in your house. The way tomatoes are sliced is different. They have to be cut in thinner sizes starting from the side. Do not slice tomatoes in half, just begin cutting on the wider side. Tomatoes are fruits, so it won’t be a bad idea to add another fruit in making salad. One good fruit that you can match with tomato salad is plum. It is really a delicious combination, and to admit it, it’s one of my favorite salads until now. For sure, you’d surely love it, too, and keep making it for your lunch or dinner. Furthermore, make it more flavored with a pinch of herbs and some shreds of cheese of your choice. A much different way to create a tomato salad is to add a few, little pieces of creature from the sea. Shrimps, fresh lobsters, and squids are good choices that you can add to your bowl of tomatoes. Fry or steam any of these seafoods, but it is better if you thoroughly roast them. Just some strips of bacons and slices of onions or shallots. This is a perfect meal for people who are not fully vegetarian. Like in my case, my kids do not want to eat meal if it’s all vegetables. They want some meat or fish added, too. 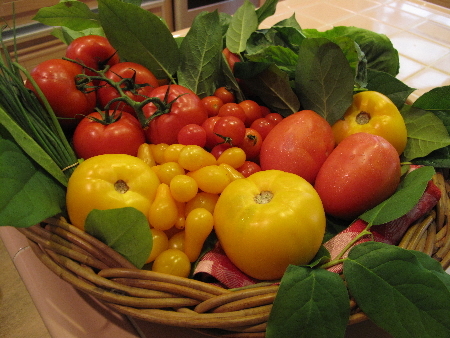 The secret of making a tomato salad is to pour some juice of lemon. This is what I usually do with every tomato salad I make. Freshly squeezed lemon and cheese or salt are good dressing of tomato salad. Regardless of what kind of tomato salad you make, these additional ingredients create an even more flavored dish. Another quick tip is to use freshly picked tomatoes. You have to ensure that each and every tomato is flawless and beautiful. No one likes to eat fruit or vegetable that is spoiled or rotten. Also, it is more enticing to grab a fork and start eating this kind of delicious and healthy salad when the ingredients look fantastic. Remember that a presentation of food has importance in inviting you to take a bite. Whether it’s an ordinary home dinner or special event with some friends, tomato salads are a great treat.